Raised beds are extremely versatile, very easy to use, and pose many advantages over traditional gardening. Even with the convenience Raised Beds create the soil is the most important part to success. 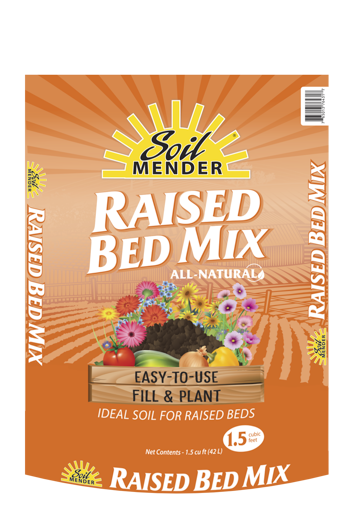 Soil Mender Raised Bed Mix is specially formulated to be an ideal soil to use in raised beds and large containers.